I always find parking in Newcastle City Centre at this time of year to be pretty tricky as traffic can be bad and it's always super busy. Our go-to place is Eldon Square Car Park which like a lot of car parks in Newcastle is free after 5pm. It does close at 10pm though which sometimes means that getting there after panto can be a bit of a rush. There are sometimes spaces available on Grey Street right outside of the theatre and other car parks in Newcastle too. I much prefer to use public transport and on this occasion, we caught the bus into town. 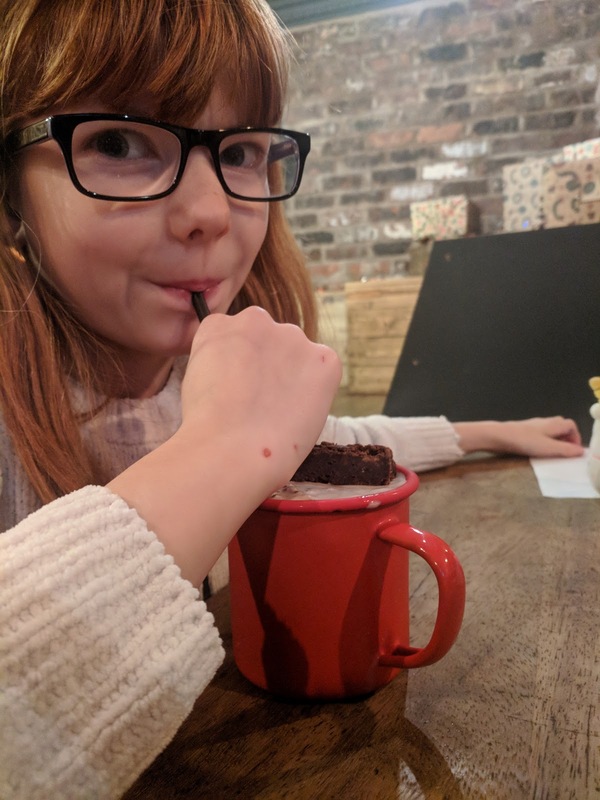 I've written a full post with suggestions of where to dine before a trip to the Theatre Royal - check out my suggestions here. On this occasion, we dined at Fat Hippo Underground which is our go-to place. The service is always so quick here, the food hits the spot and the kids love it. Burger and fries plus 2 shakes and 2 soft drinks for the four of us was just short of £35. The Theatre Royal Panto is always Harry, Heidi and Jack's all-time favourite. They are massive, massive fans of Danny Adams and love everything he does. I think we've probably watched him in around 10 pantos/circus shows/Butlin's performances over the years. 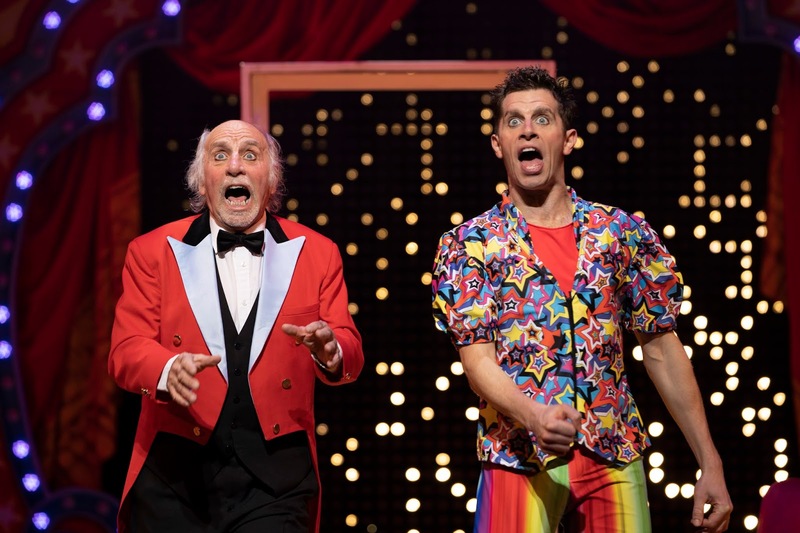 Danny and Clive share a very specific type of comedy - it's all very physical/slapstick with lots of set pieces. This isn't always my kind of humour but for some reason, it just clicked this time and I absolutely LOVED this pantomime. In fact, I'd go as far as to say it's the best panto I've ever watched (and I've sat through a fair few in my time). Every single element was top class from the live orchestra to the lighting and perfectly timed set-pieces. 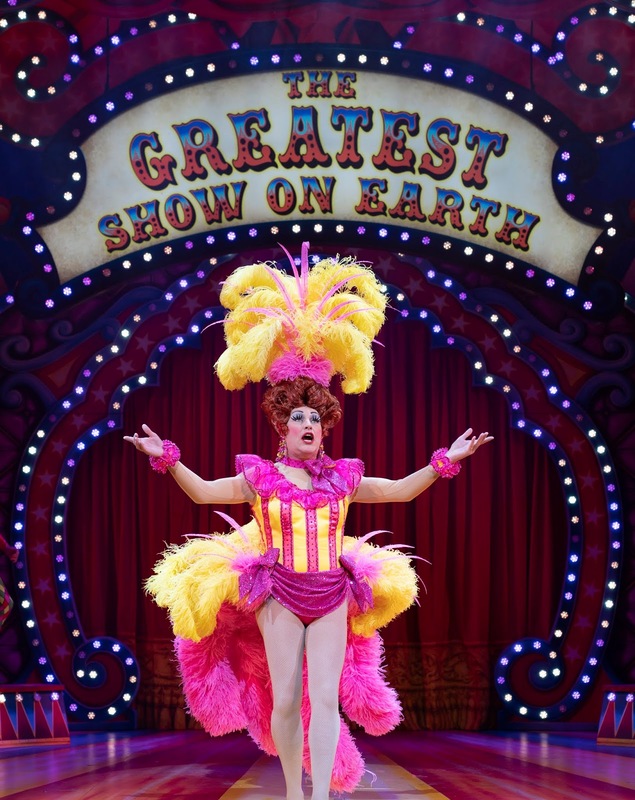 It's all outstanding and I really think this show does deserve its title of 'The Greatest Show On Earth'. Danny Adams really is the star of the show. He's such a natural on stage and I found myself not being able to breathe through laughing at times. The Alexa routine had me crying and the 12 Days of Christmas finale saw Harry, Heidi and Jack jumping out of their seats, doubled over with laughter and nearly rolling around the floor. It was honestly uncontrollable. Yes, we'd heard a lot of the jokes and saw some of the set-pieces before but it just always seems fresh and never gets old. I think it's all to do with Danny's perfect delivery and timing. I've not laughed so much in such a long time. There were moments when we were all on the edge of our seat and so much of the fun seems unscripted (yet probably is scripted) and it's all laid back and never forced. There's plenty of audience involvement and banter too which is a difficult balance to achieve. Danny is such a natural on stage and the audience hangs on his every word. I can't wait for his new CBBC show in February - I think it will be one of those shows we all sit down and watch together as a family. His type of humour really does cross generations and is just as funny to a 2-year-old as a 92-year-old. 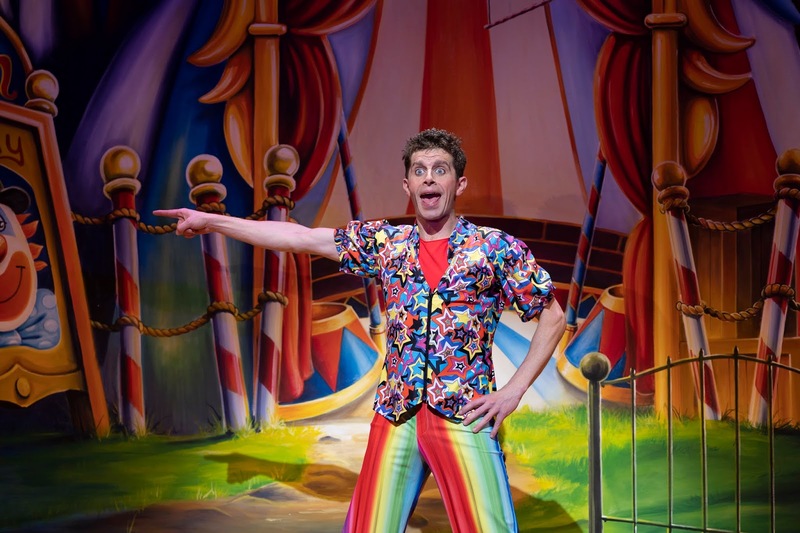 Another favourite for us Michael Potts as The Circus Idiot. His expressions and mannerisms are just hilarious and whenever he's on stage, the whole audience is guaranteed to laugh and smile. He's just so funny. This year's panto is circus-themed and the pace is fast/there's no chance to get bored. 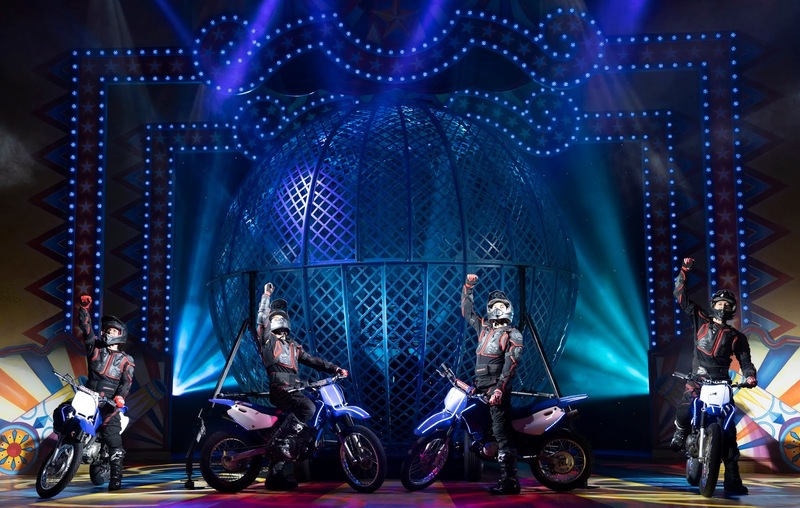 As well as plenty of comedy routines and a sprinkle of songs, there are top-class circus acts which really wowed us too. I especially loved 'The Great Juggling Alfio' who is probably the best juggler I've ever seen. That guy has skills! I think I've seen The Berserk Riders 4/5 times now but they never get old and always have us gasping as they whizz around on their motorbikes at top speeds. I don't think I've ever mentioned the lighting at a panto in a review before but it really deserves a mention here. 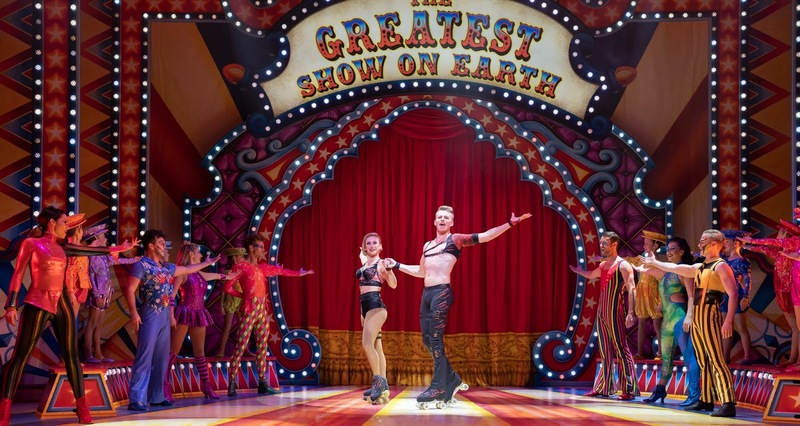 I *think* the kudos for this needs to go to Ben Cracknell, Lighting Designer (somebody please correct me if I'm wrong) but it seemed to really be integral to the show/elevated the circus theme to another level in a way that I hadn't seen before. The whole cast were all excellent and played out their roles perfectly. For once, I don't have a single criticism to offer. 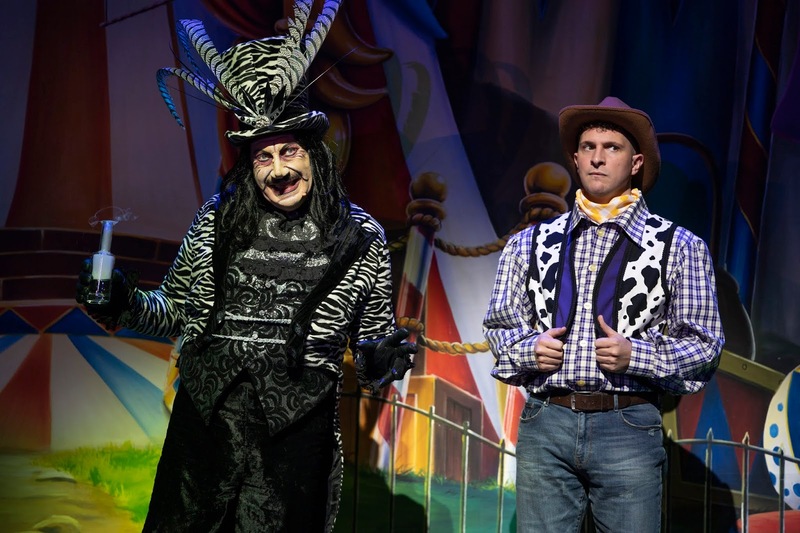 Clive Webb is always the professional and made a perfect ringmaster, Steve Arnott as the panto villain was again fantastic - I particularly loved his accent and costume, he really reminded me of the child catcher from Chitty Chitty Bang Bang. Laura Evans played the role of Goldilocks this year and her beautiful singing voice really stood out and Wayne Smith as Starbuck worked really well with Danny and was a natural - I loved his fits of giggles. We absolutely adored the three bears from 'Scotswood'. Along with panto favourite Chris Hayward as Dame Rita Rington, they kept the local feel to the panto with plenty of local mentions - NUFC, Greggs, Sunderland Empire, Wallsend and Byker are just some of the name checks given throughout the performance. A lot of the jokes really are just for adults and during '21 Seconds to Go', the grown-ups AND kids were all laughing along and it made me question how much the kids really understand? Whether they 'get' the jokes or not, for the first time in a while, I do think this year's Theatre Royal Panto is suitable for younger kids as well as older ones. There aren't really too many scary moments when compared with previous years. You may have noticed that I've mentioned Panto Bingo a few times this year - a lot of pantos seem to follow the same generic formula with multiple songs from The Greatest Showman, a finale of Baby Shark and jokes about Brexit. There was none of this in Goldilocks and for me, this is part of the reason it stands out. It just wasn't needed. The set, production, live music and costumes are also second to none. The finale reminded me of watching The Lion King on stage in London and the quality really is en-par with a West End show. 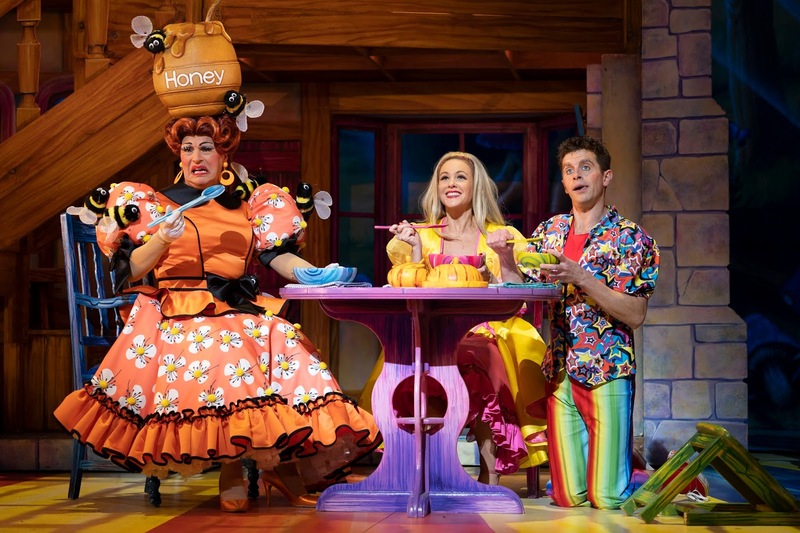 In all my years of writing panto reviews, I've never declared one to be the best but this year, I can say with confidence that the Theatre Royal's production really is on another level and the best panto our region has to offer. If you have tickets to see this show, you're in for a treat. If not, I'd recommend buying some pronto. Heidi and Jack are going to see this again with school in a couple of weeks and they can't wait. You know it's good when you want to watch it again straight afterwards. I honestly don't know how they're going to top this next year. It's a huge 10/10 from us. This sounds and looks incredible! I was in two minds whether to go this year but you’ve got me straight onto the site to book tickets. Thanks for sharing! Oh wow it sounds fantastic! I have to say I've tried three different pantos in the North East now and Theatre Royal is easily my favourite, gutted I couldn't make it this year! I've gone to Clive and Danny's pantos for as long as I can remember, it's the highlight of my festive season and this post has me even more excited (if that's even possible!) I've never had anything but good things to say about their pantos, I'm so please for Danny as well for getting his TV show. So pleased it's another fab one! 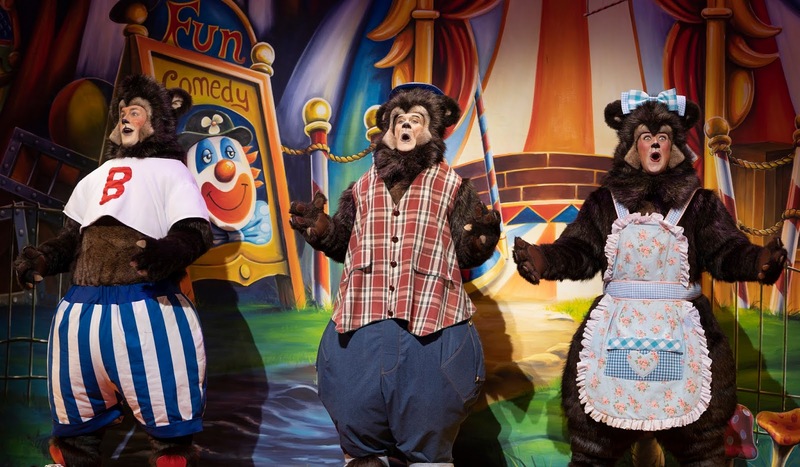 Definitely not as good as previous years, nothing about goldilocks and the 3 bears, more a circus, think it was more for adults, go back to entertaining children, have to say cast were excellent though.